The owners’ Norwegian heritage influenced everything from the home’s design to its log species and profile to its furnishings. The result is a cottage that seems to whisk you away from 21st Century Wisconsin to Old-World Norway. 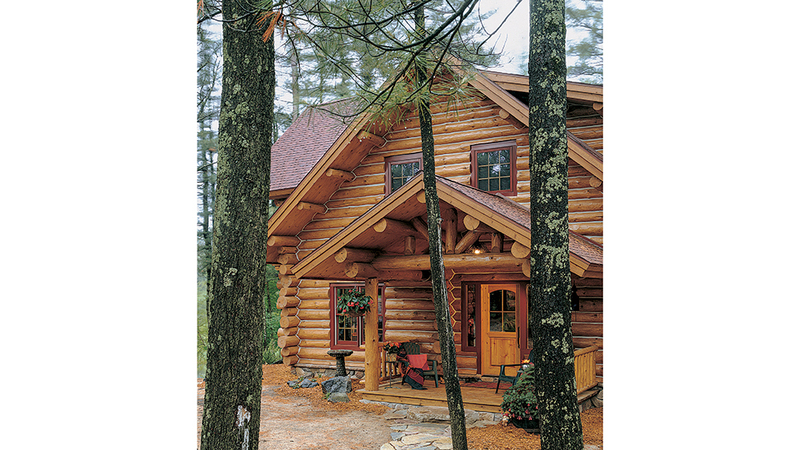 When we originally featured this house in 2005, the Log Home Living staff fell instantly in love. 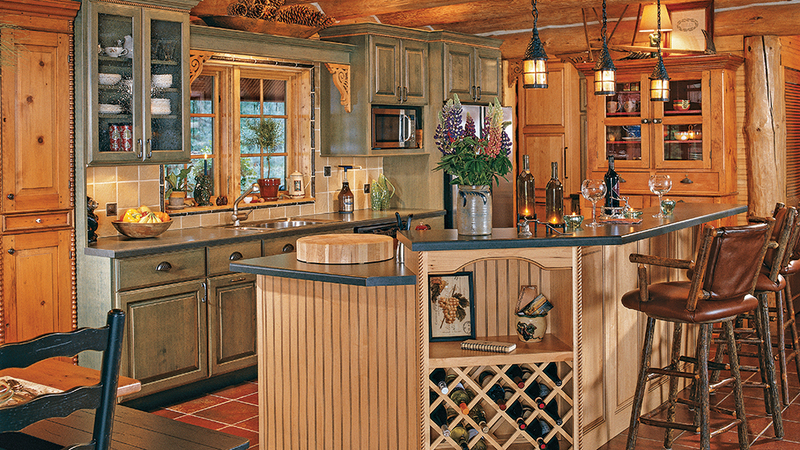 The owners’ Norwegian heritage influenced everything from the home’s design to its log species and profile to its furnishings. The result is a cottage that seems to whisk you away from 21st Century Wisconsin to Old-World Norway. We love it just as much now as we did back then. 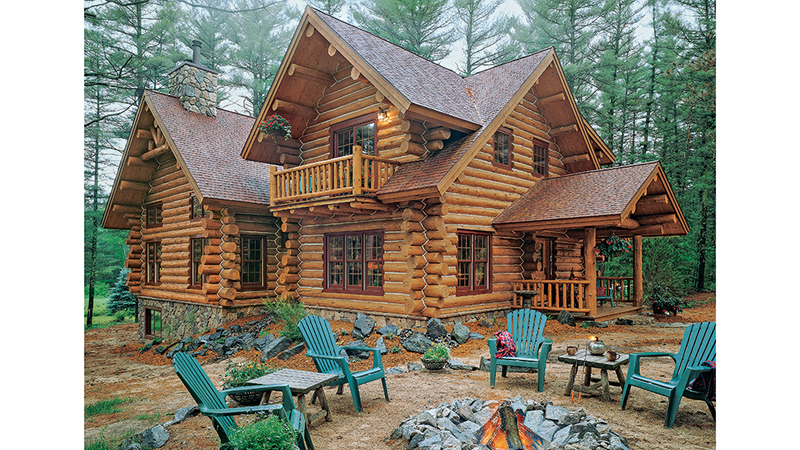 Located near Wisconsin’s Black River Falls, this charming 2,500-square-foot, red-pine, handcrafted log home stands on the former site of a 1930’s log cabin. 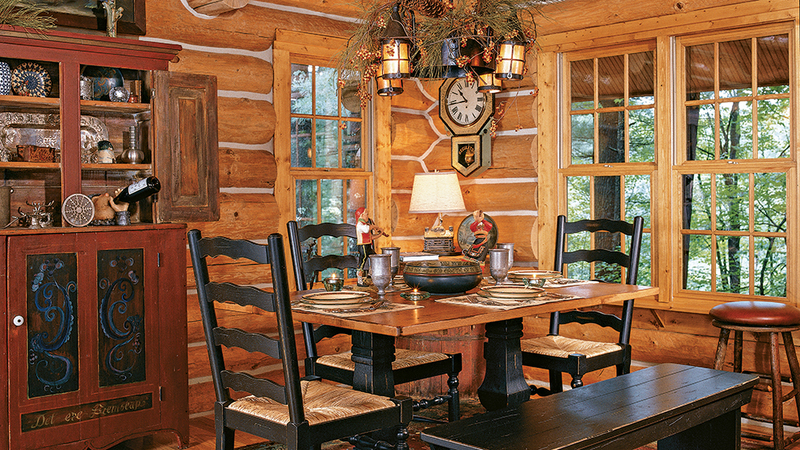 Irregularly cut saddle- notched corners and barn-red frames around the windows and doors add to the cozy cottage vibe. The home’s soaring hearth is faced in manufactured stone that’s so realistic, it’s indistinguishable from the real thing. 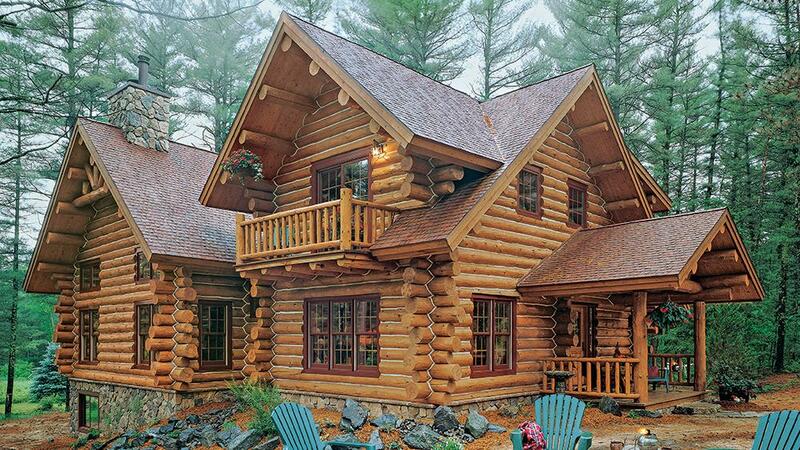 Hand-peeled logs and lots of windows were top priorities for the owners. 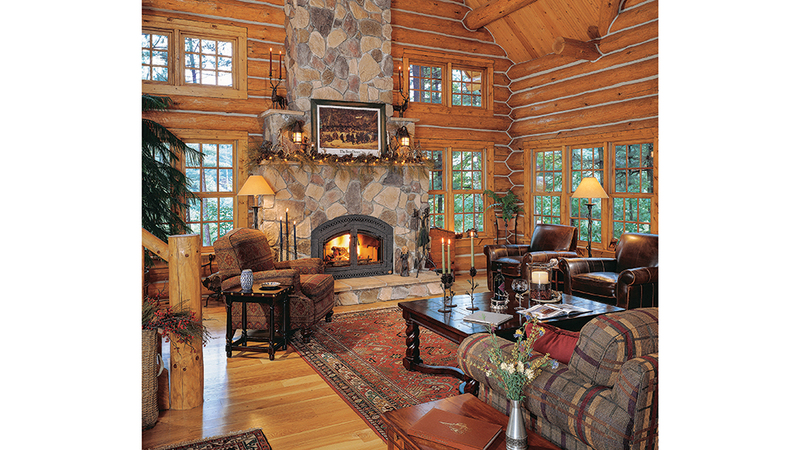 Brisk autumn evenings around a fire pit are made even more perfect with this inspired log home as a backdrop. The kitchen’s design is Norwegian rustic, with moss-green wall cabinets, iron hardware, red Italian ceramic tile flooring and two antique hutches. The island offers additional storage, so no space goes to waste. The dining area opens off of the kitchen and is just at ease holding formal dinner parties as it is casual meals for two.